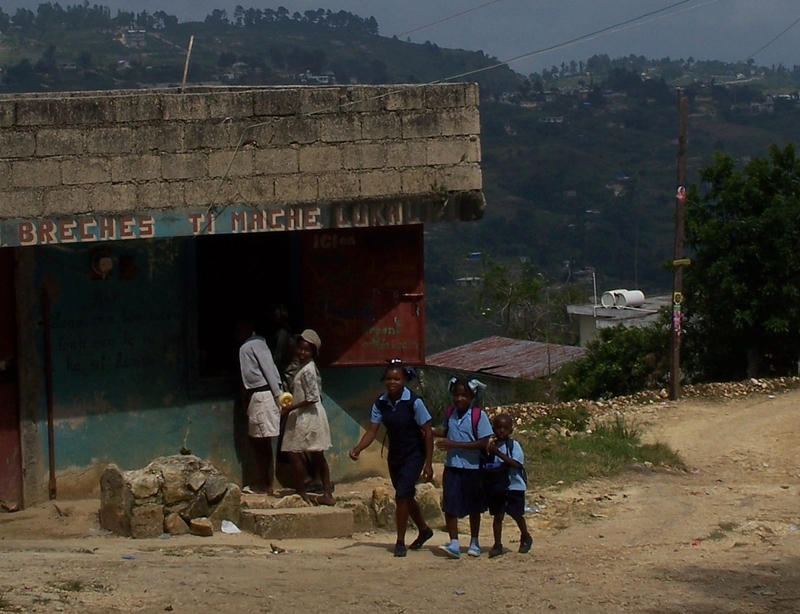 Kids walking home from school in the mountains of Kenscoff, Haiti. From my October 2010 visit. Public schools are almost unheard of in Haiti. Parents must pay for tuition, supplies, the correct uniforms. In fact, I even heard a story of a little girl being turned away from a private school because she had the wrong color barrettes in her hair. And yet, everywhere I looked I saw kids heading to school. Parents did whatever they could to get their children educated. They wanted to give the opportunity for a better life, a life far from the tent they currently lived in. Today, I got an email update from Sean Penn, CEO of J/P HRO. You might be more familiar with him for his roles in Mystic River, Milk and Dead Man Walking. Much like every parent I know, he was talking about the start of September and “Back to School” time. “J/P HRO is creating opportunities for the Haitian people through education in many forms: primary school and recreational classes for the children; for the adults, literacy classes, English language lessons, vocational training, continuing education sessions for Haitian medical staff, and on-the-job training for rubble and demolition teams working to clear and rebuild their local communities. We have the chance to help them make that goal. As the summer days come to an end, consider helping J/P HRO educate tens of thousands of Haitian children and adults.